This past weekend I was visiting Los Angeles and happened upon a gluten free gold mine just blocks away from my sister’s West Hollywood apartment. Hugo’s is a diner style restaurant that places great importance on healthy food and quality ingredients, which translates beautifully to the variety of special diets they cater to. 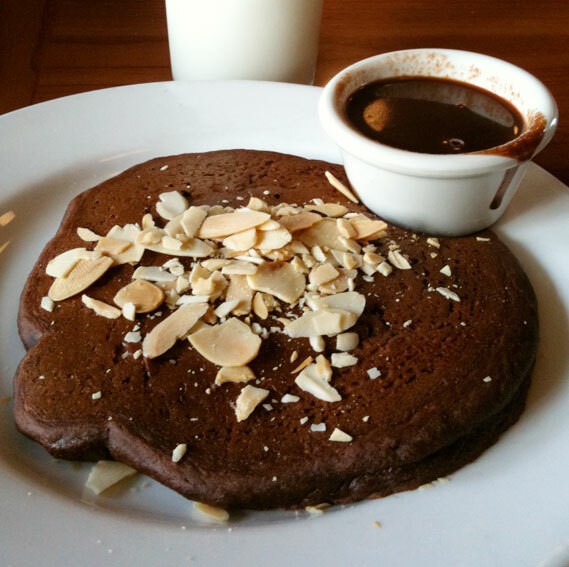 With a symbol for gluten free, vegan, and vegetarian items, Hugo’s menu is ideal for any restricted eater. There are literally dozens of healthy yet remarkably delicious options for gluten free and vegan guests. In fact, the majority of the menu is gf and almost any modification can be made for additional sensitivities. Highlights on their large menu include roasted pineapple coconut pancakes, grilled polenta served with poached eggs, chicken ginseng soup, vegan or regular mac n’ cheese, pasta carbonara, shepherds pie, brownie sundaes.. I could go on all day so take a look at their menu here. It’s restaurants like these that make being gluten free as easy as pie. 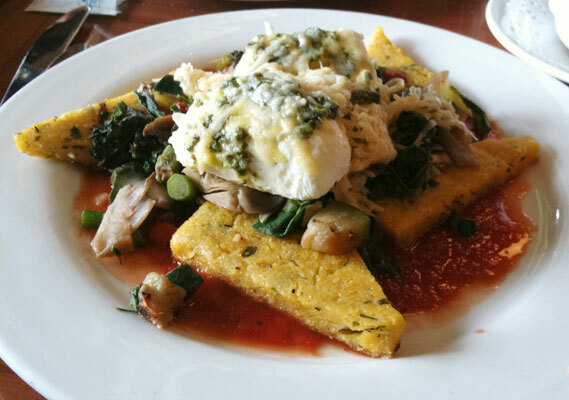 Featured dishes: Polenta and Eggs and Vegan Mole Pancake (ordered as a side).